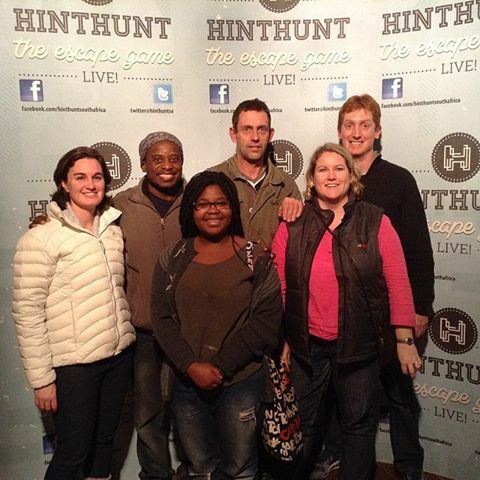 Hint Hunt, at the Old Biscuit Mill Woodstock, is a game full of puzzles you need to solve. You are locked in a room (really!) and you have one hour to solve the mystery to get out. It’s about team work, creative thinking and problem solving. Every now and then you get an additional clue to help you find the answer that unlocks the door. The 60 minutes goes super fast, so you need to have your thinking caps on. It will make a super party activity for teens as not only is it FUN, but it teaches about team work and problem solving as well. They have 2 identical rooms set up, each room can cater for up to 6 people taking part at a time. A new room is going to be launched later this year. The cost works out to about R130 per person so getting booking for your next birthday, team build or just for fun.